MacDonald Highlands, located in the foothills of the McCullough Mountains, offers more than just a place to call home. 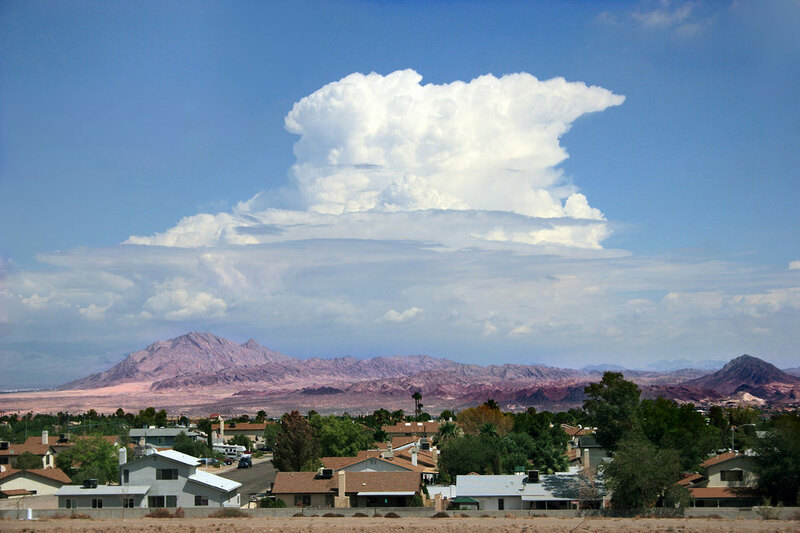 The upscale living and prestigious community located in Henderson, NV, will transform the way you live. Situated high above the Las Vegas valley, each custom homesite offers panoramic views of the Las Vegas Strip and the magnificent skyline. The premier Dragon Ridge Country Club is located within the community and provides easy access to a complete list of upscale amenities to the members of the community. Dragon Ridge’s world-renowned 18-hole golf course is one of the main attractions of the community. It is also one of the main reasons for those who seek a luxurious living experience to make MacDonald Highlands their home. 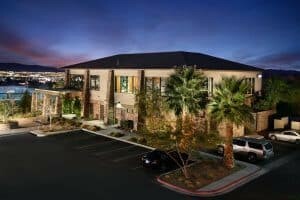 MacDonald Highlands is the premier luxury community in Southern Nevada. The founder and developer of MacDonald Highlands, Rich MacDonald, believes that those who want to enhance their lifestyle and experience living at the top will find MacDonald Highlands to be an ideal place to build their dream homes. Securing a custom homesite in MacDonald Highlands is the first step to fulfilling your dream of luxury living. The DragonRidge Clubhouse, a 35,000 square foot stone and glass building, is a social venue for MacDonald Highlands residents that accompanies the DragonRidge state of the art golf course. Within the clubhouse, you will find the top-rated Montrose Steakhouse, Onyx Bar, Dragon Grill, two lounges and a ballroom to accommodate social events. A social membership to the Clubhouse is provided to buyers upon application approval and home ownership. DragonRidge Country Club can be viewed from the custom-home sites along the course or from the home sites located upon the hillsides. Also housed in the Clubhouse is the Jack Nicklaus Academy of Golf. PGA professional staffers provide lessons for members and offer an extensive range of golfing merchandise, complete with a practicie facility for those who wish to polish their golfing skills. 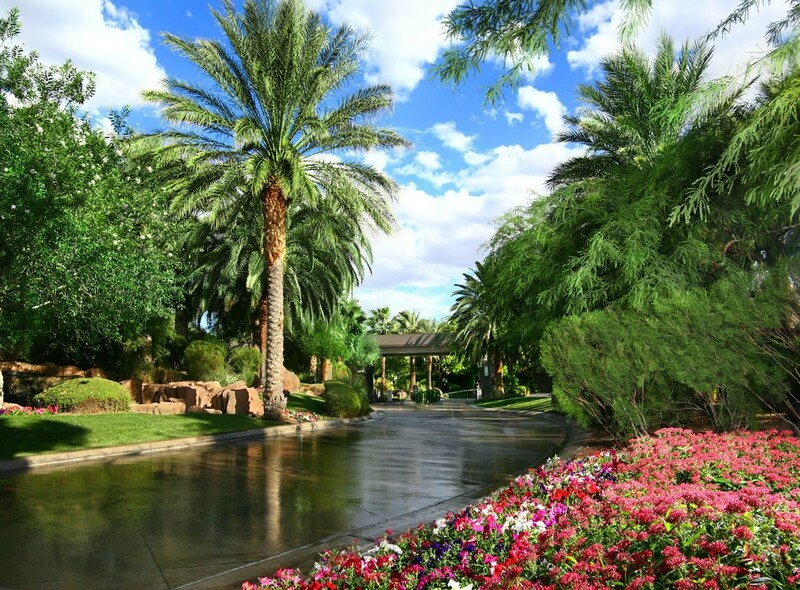 The Clubhouse welcomes you to create stunning events like weddings, reunions, and charity events with the backdrop of the Las Vegas valley in sight. A custom-designed swimming pool that offers a magnificent view of the Las Vegas skyline is also available for the enjoyment of members of the upscale community. Play a game of golf or workout in our state of the art fitness center, then come to the Clubhouse to relax and unwind, grab a drink, or a meal. The Clubhouse at MacDonald Highlands will become your home away from home. Elevated at 2,700 feet above the valley, the Clubhouse offers breathtaking views and makes one understand the true meaning of Life at the Top within the MacDonald Highlands prestigious community. Located in our beautiful community is The DragonRidge Tennis and Athletic Center. This amazing 14,000 square foot facility features two group exercise studios and a spacious 4,500 square-foot strength and cardio floor. 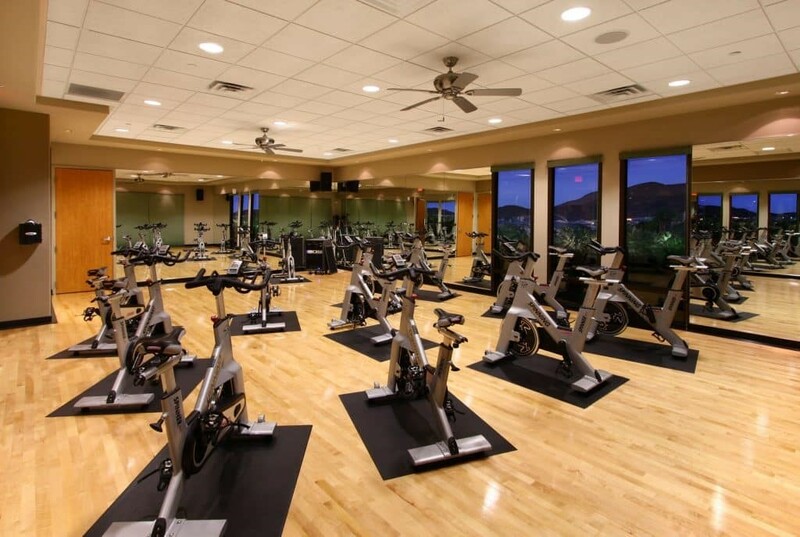 While you feel the burn with the state-of-the-art exercising equipment, you can look out and enjoy the stunning view of true Las Vegas luxury real estate and the Strip in the distance. The athletic center also has a private Pilates studio taught by a seasoned professional. The athletic center also boasts of some the finest fitness classes. Exercise programs such as spinning class, aerobics, kickboxing and yoga are offered on a regular basis and are waiting for you to get you in shape. Private trainers, sport-specific conditioning and overall wellness services are available per request to help push you to your fitness goals. You can work out with whole family and practice your backhand on one of the five tennis courts. Basketball or volleyball courts are available. For those that love the water, the DragonRidge Tennis and Athletic Center offer a custom pool fit for Olympic swimmers. Tennis and Athletic Center provides child care services, so you can have peace of mind while you work out.